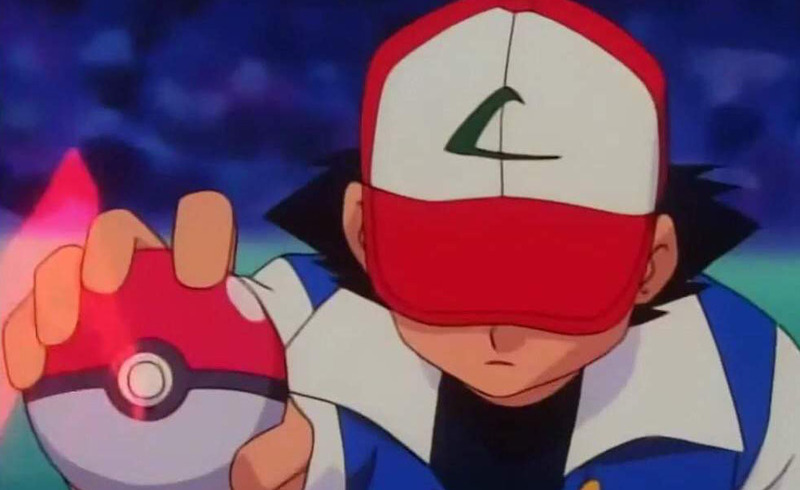 Pokemon GO is slowly starting to lose it battle over mobile, according to a report by Apptopia. As a result, smartphone users are turning back to old favourites like Facebook, Twitter, Instagram and Snapchat. 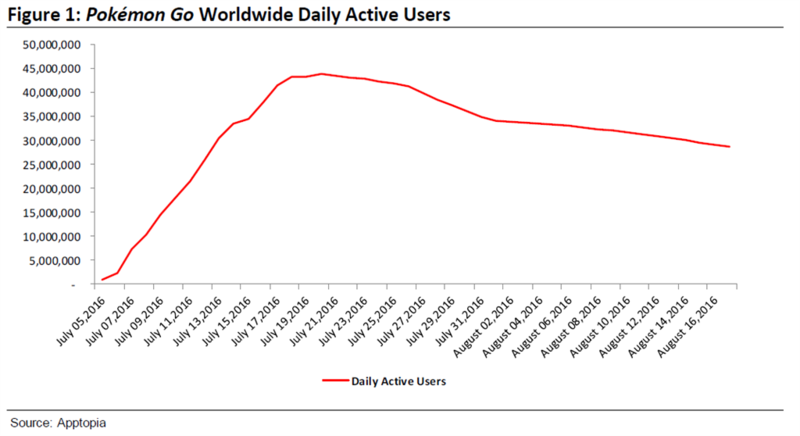 With the news that the Pokemon craze has finally begun to decline, investors in these other mobile players can finally breathe a sigh of relief. 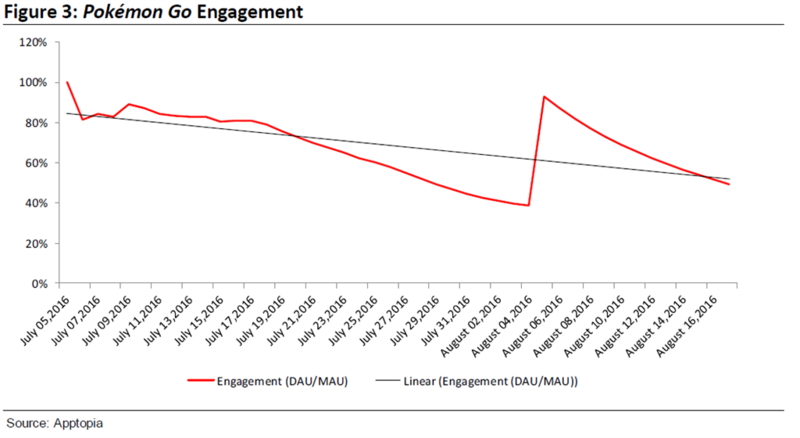 This data shows that Pokémon Go’s daily active users, downloads, engagement, and time spent on the app per day are far from their peaks and on a downward trend. Are you still playing Pokemon GO? Let us know in the comments below and in our forums.